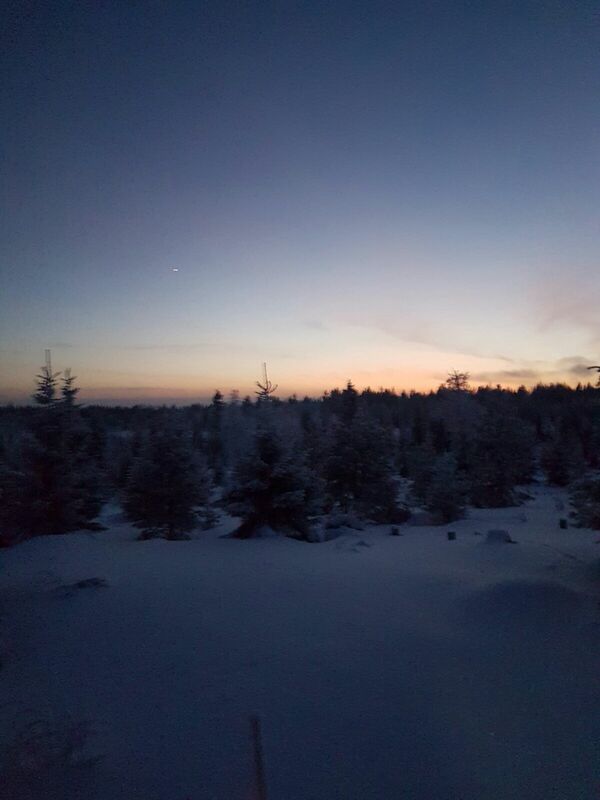 We were booked to do a starlight adventure in the evening. Unfortunately on the way we managed to drive our car off the snowy road into a ditch and get completely stuck. Our first meeting with Mari was therefore by the side of the road with her speaking on my phone in Finnish to the hire car company, trying to sort out a tow truck. While we were waiting for the tow truck to come Mari invited us back to her house to keep warm and very kindly fed us and gave us hot drinks. Once the car was sorted it was far too late to go on a husky ride so we re-booked for the following afternoon. 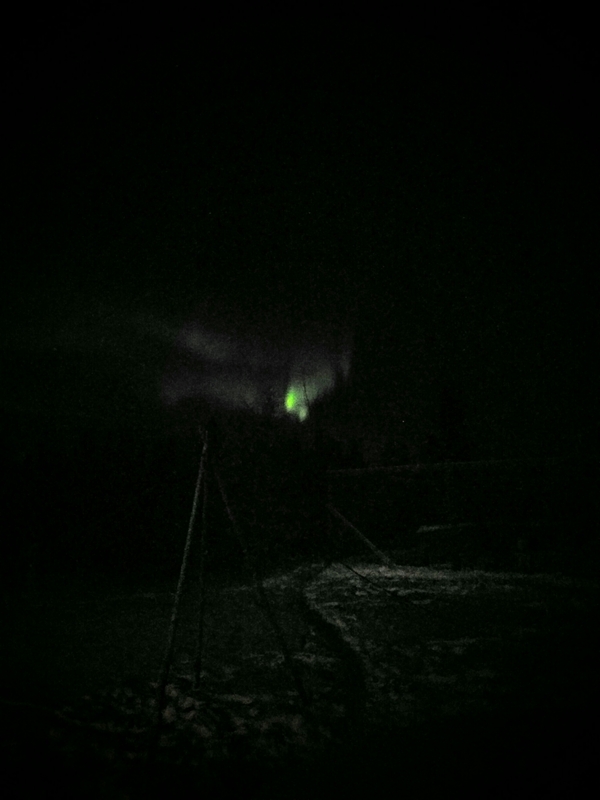 All was not lost though as we got to see the Northern lights which was amazing! The following afternoon we returned to the beautiful house and kennels for our husky adventure. You could tell just by looking at the dogs that they were well cared for. This is not a place that breeds dogs just for tourism and does tour after tour. Mari knows each dog well and has raised them from puppies. The dogs were harnessed to the sleds and off we went. The website states that “Driving a dog team through the snowy wilderness is an experience you’ll never forget” and that is certainly true. 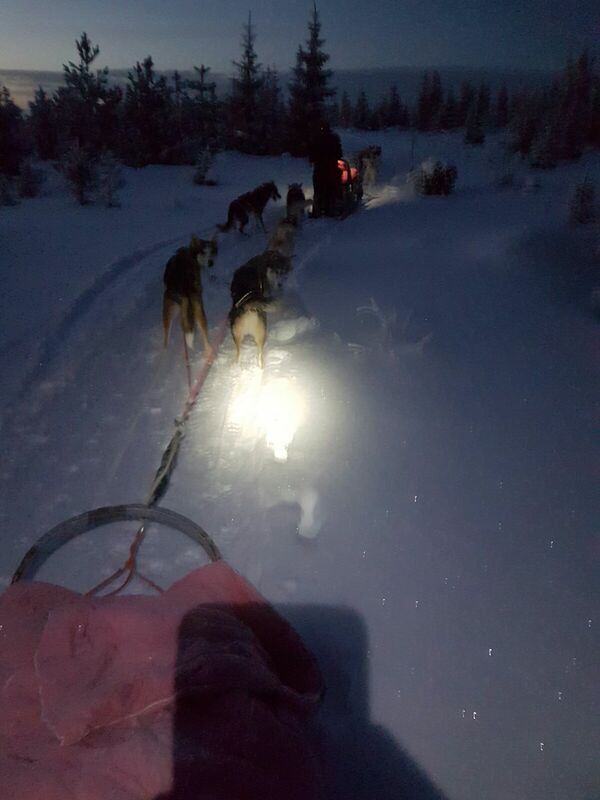 There is nothing quite like zooming through the snow covered, starlit forest behind six beautiful dogs! We took at 12km trail which took about an hour and was amazing. 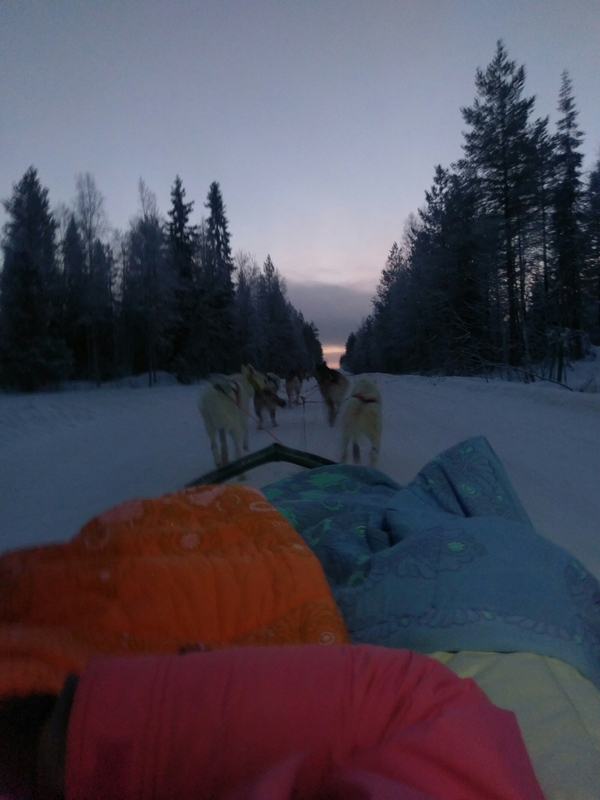 All adults had a chance to drive if they wanted to and children got to sit in the sled with duvets to keep them warm. The children loved the dogs and being pulled in the sled. 12km was the right distance for us. It was long enough to have a really good run but short enough for the children to not get too cold. I would definitely recommend wrapping up warm. If you are driving a sled then you will keep warm as you will be moving but if you are just riding then it can get cold – especially toes! 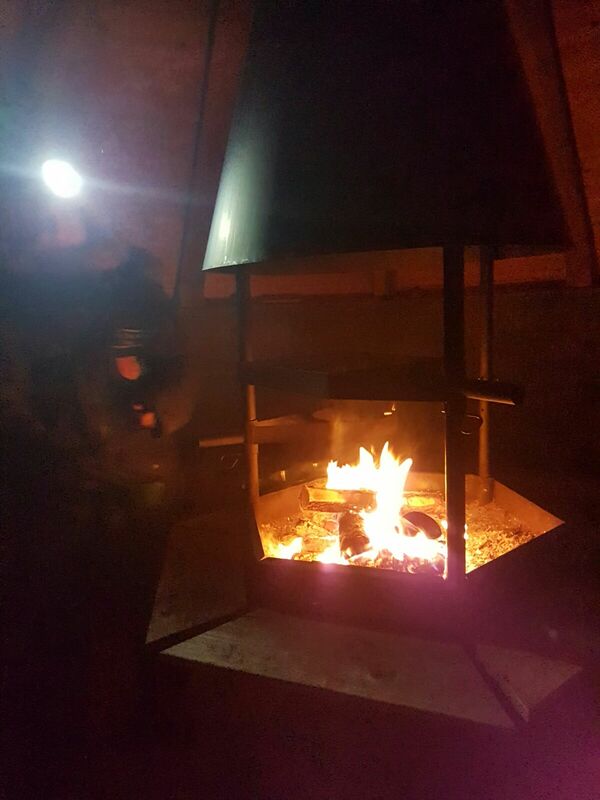 When it was over we were able to warm up by the fire in the lappish hut, where we were given hot food and drink. Mari was extremely hospitable despite us invading her home and having to rearrange at the last minute. Husky sledding with an autistic child? I would say it depends on your child and how well they can follow instructions or sit still. There are no seat belts or straps on the sled but there is the option to sit with your child if you dont mind riding instead of driving. The huskies can go quite fast and the sled bumps the ground occasionally. The dogs are extremely friendly. Our 11 year old is calmed by animals and loves them, he also loves snow and ice and fast rides so for him this was a great choice and he very much enjoyed the experience. A shorter 5km ride may be a better choice if you are unsure. The price for our arctic adventure (12 km) was €95 per adult and €50 per child. Adults and children over 12 are able to have a go at driving. Mari speaks very good English. All bookings must be done in advance – preferably at least two days before your arrival; the earlier the better! There are a variety of trails available ranging from 5 kms up to 120 kms with overnight stays. The maximum group size for longer trips is 6 adults. 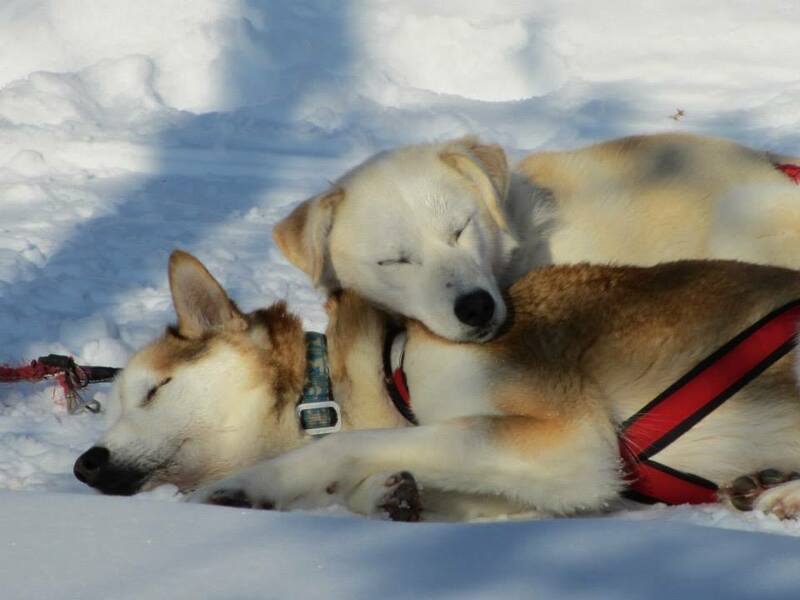 Hidden Trail Kennel is located in Multasniemi, Kuusamo, Finland, only about 20 minutes drive from both Ruka and Kuusamon town.